Eoin Mac Neill believed that the name Drobeóil, mentioned in the Metrical Dindshenchas and seemingly referring to a pass, had survived in the mountain name Gravale (JRSAI lxv, 14). On Nevill's map of 1760 the high ground W of Gravale is marked as Lavarna. Price says that this is pronounced Lavarnia and is derived from Leath-Bhearna. On the Downshire Estate map of 1806 Lavarna Gap is marked on the ridge above Lavarney Spout, between Gravale and Duff Hill. Price comments that this was a route from Lough Dan to Blessington. 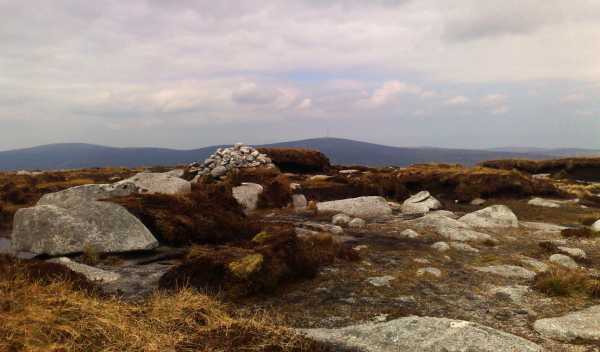 Gravale is the 100th highest place in Ireland. Middle man of three boggy tops. 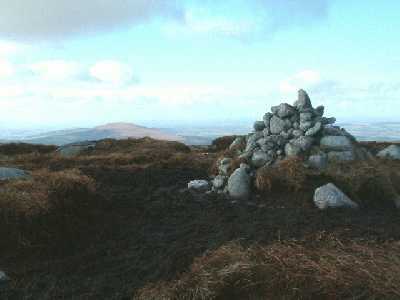 This summit will probably be visited as part of walk along the Carrigvore - Gravale - Duff Hill - Mullaghcleevaun ridge. Access is straightforward if boggy at times from its neighbours. For a quick route up start at O120083 A on the road south out of the Sally Gap. Access is also possible by varous routes from the NE some over the Glenflugh Flats, one of the least interesting areas of Wicklow. This hill looks as if its arms are supported by the two neighbours. It does not have a lot going for it other than really excellent views down the valley towards Laragh. 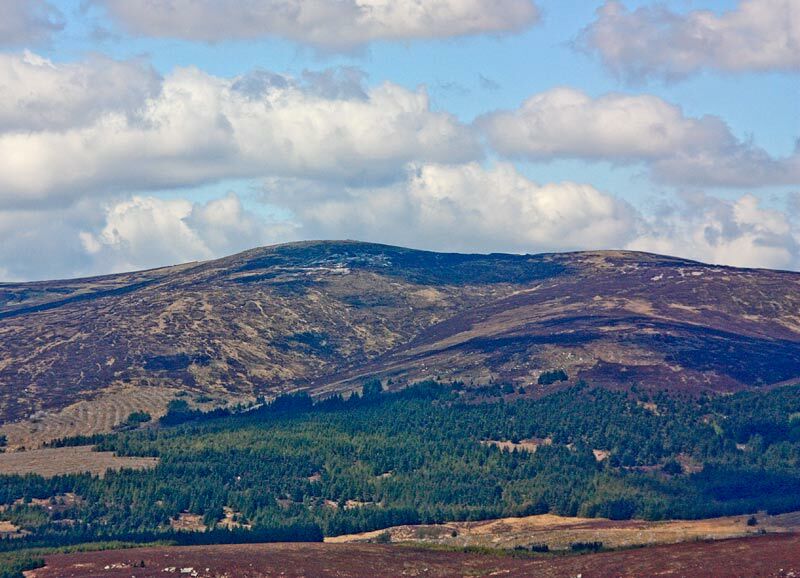 The approaches from both Carrigvore and Duff Hill leave a lot to be desired, with soft boggy saddles which will test your nimbleness at avoiding bog hags and wet peat trenches.